It’s true! 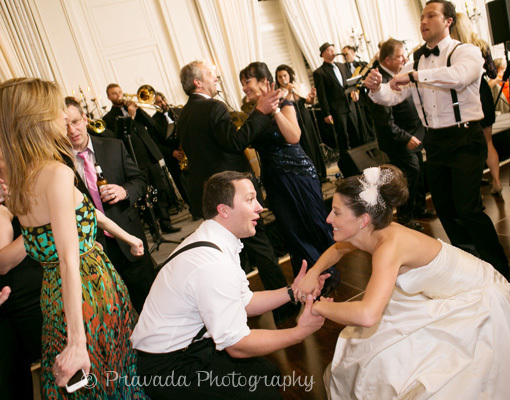 Goody Blue Shoes Party Band will deliver the wedding or party of your dreams, so dream big! Goody Blue Shoes provides a completely customized wedding experience for your most important day. While many bands are playing along with prerecorded backing tracks, GBS only brings the highest quality 100% live music to the stage! The Best of the Best Vocalists! Any band is only as good as their vocalists, and GBS blows everyone else away with the best vocalists around! Best. Party. Ever! 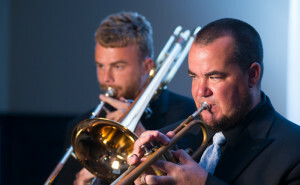 Goody Blue Shoes Party Band delivers the fun, excitement, and professionalism that will make your wedding or event truly unforgettable! GBS is a top Philadelphia and South Jersey area Wedding and Party Band, bringing together nine of the region’s best entertainers, with awesome vocalists, a dynamic horn section, and a mix of music that will keep the party going all night long! Planning an event? Goody Blue Shoes Party Band is ready for FUN! Some of the best wedding memories are made with the help of Goody Blue Shoes. This is the day you’ve been waiting for all of your life, and we’re here to deliver the most perfect wedding celebration you could ever imagine. 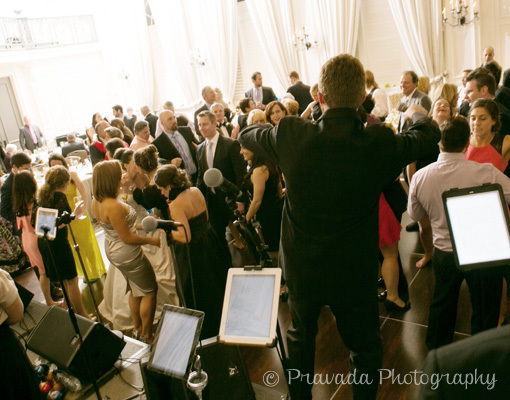 All of your friends and family will be talking about your wedding with GBS for years to come. As one of the best South Jersey and Philadelphia wedding bands, Goody Blue Shoes truly is the best something blue ever! Nobody else does black tie like Goody Blue Shoes. When it comes time for your organization’s fundraising events and formal affairs, look no further. 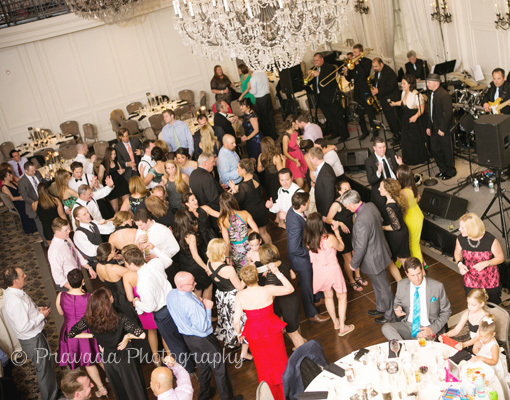 GBS will beautifully support your event theme, and when it’s time to open the dance floor you’ll see everybody having a blast! Ready for the best corporate party ever? You’ve come to the right place. Add Goody Blue Shoes to your company holiday party and your employees will feel the love! Looking to impress the competition? Call on GBS for your company’s sponsored event at industry conventions and trade shows. Goody Blue Shoes is your plan for success. Get ready to party hard with Goody Blue Shoes! GBS knows exactly what you’re looking for in night club entertainment. We bring a strong following with us and will keep your regular clientele happy, your bar three-deep, and your registers working all night. 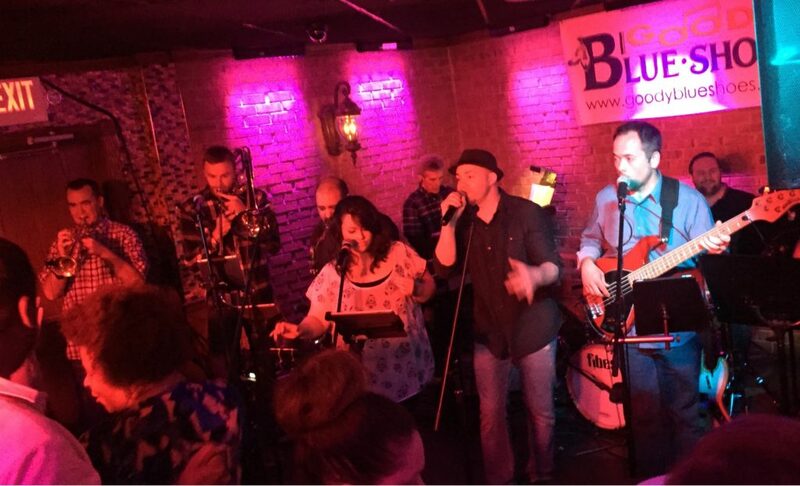 Your dance floor will be packed until closing time with GBS’s perfect selection of Contemporary Pop, Motown, Rock, Oldies, and other favorites. There’s no other party like a Goody Blue Shoes party! Anniversaries, birthdays, retirements, block parties, and more…any celebration is a good reason to call GBS. We love working with you and your theme and helping to make your party a memory you’ll never forget! Goody Blue Shoes LOVES performing at festivals of all types. Ethnic festivals, community days, church events…you name it, and we’ll make it fun! 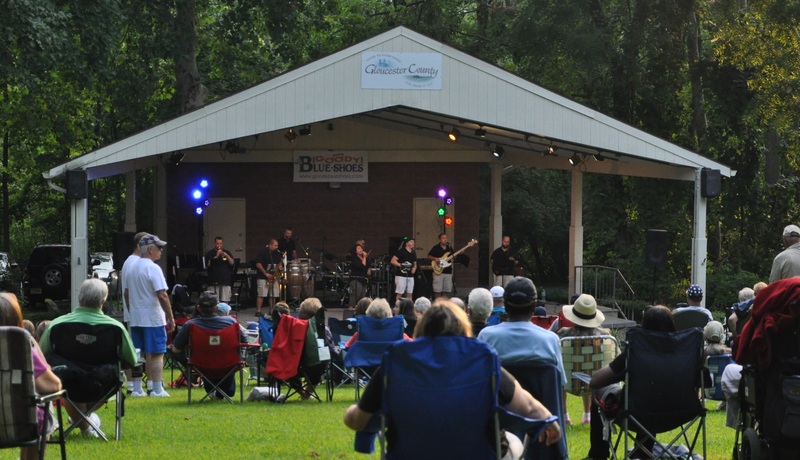 GBS is a perfect fit at family friendly events where we can make memories for kids young and old, or we can rock out with your crowd in the beer garden. Either way, it’s going to be an event to remember!